"I am sorry that I only had one night here. I felt like a princess, the rooms are absolutely enormous, as are the bathrooms and the ambiance is sublime - pure peace and quiet (apart from the noisy tokay in my ceiling, hey ho). From the lovely pool area you have marvellous rice field views. Across the lane in the other part of the complex there are glorious mountain panoramas. My room was directly adjacent to the forest so I woke to an orchestra of bird songs. It truly is a slice of paradise." 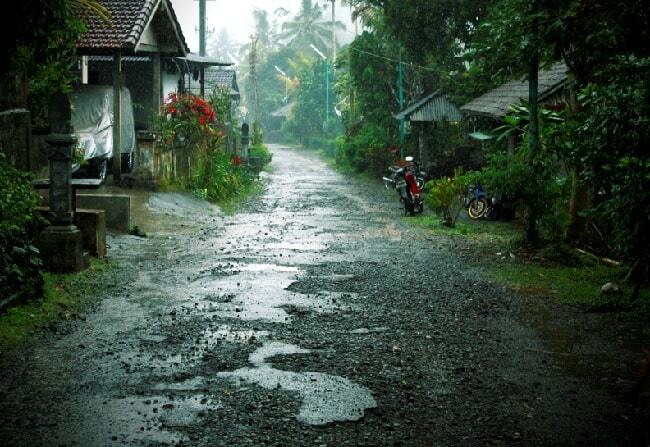 Belimbing is located about 50 kilometres northwest of Denpasar. 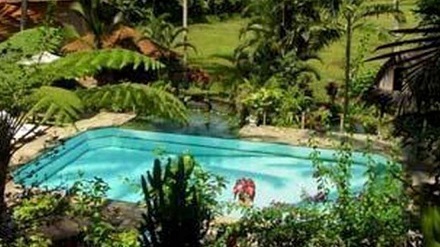 In this area you will find many beautiful rice terraces, plantations and typical Balinese villages. The area is ideal for hiking and cycling. In the picturesque surroundings of Belimbing, located in the province of Tabanan, you can also admire coffee and cocoa plantations, in addition to the natural beauty of the village and the healthy mountain air. In addition, the winding, terraced rice fields abound for visitors to this beautiful landscape. The best views of the rice fields in Belimbing can be enjoyed in the early morning or in the late afternoon. It must be a clear day, for rain and fog usually gives the whole village and surrounding a sad sight. With the advent of the planting season, local farmers ploughing their fields. They have their traditional way of workflow. The rice farmers are working on their land with the help of a buffalo. As rice grows abundantly in the area, the landscape is covered with a deep green blanket. It looks like a huge carpet of emerald, which is deposited on the slopes of the hills. The rice farmers have an intimate relationship with nature. When the harvest time, farmers cut the rice with a traditional tool, a sickle. They stand in rows and sing while they reap. Rice Harvesting are accompanied by celebrations and that is an opportunity for young men and women to know each one better. In order to get the rice grains from the ears of the stalks they are beaten on a shelf, where a net ensures that it will be collected. This is all done by hand, usually by women. It's women's work, the rest will be done by men. The rice grains are measured in a bucket. If it's a full bucket of rice it weighs just 10 pounds and they will put the rice in large bags of 50 kilos. They carry all those bags of 50 kilos on the head to a collection point. A pick-up truck brings the bags to another location, where the rice is dried in the sun. After drying, the rice is taken to a factory for the following process: the membrane around the rice grains are removed. So beautiful white rice remains. 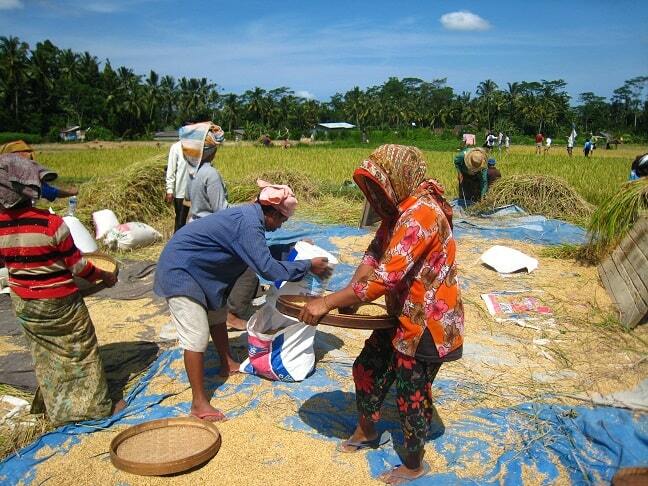 Previously, the villagers were obliged to work in the field, as the rice had to be hauled. 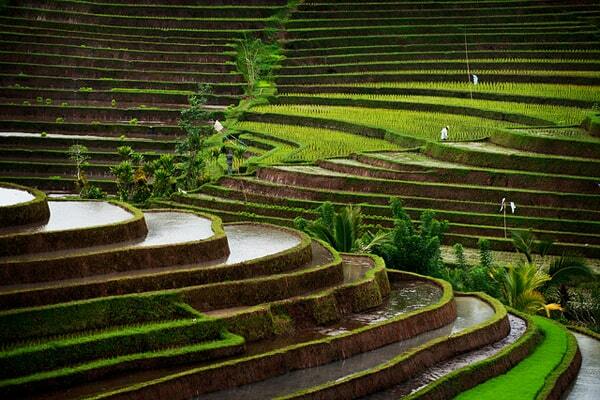 Harvesting was done 3 to 4 times a year, because the rice terraces ar so rich on Bali. You could also buy off that obligation, and you were exempt, but few were able to muster only. Now, thanks to the (thankfully) growing prosperity, there are so many exemptions that immigrant workers from Java to Bali come to seek their fortune. Rice harvesting is quite heavy: tropical sun, dust burdened work to the blades to cut through the threshing of rice at large parts of the day. At night the village Belimbing devoid of the sounds that are created by man. Only the chirping of crickets and night birds you can hear and that feeds the imagination of visitors. A visit to this delightful mountainous area is the best way to relax after a busy travel schedule. For a truly local feel in Bali, consider a hotel whose 12 villas were constructed in a traditional Balinese style using only local materials. The accommodations at the Cempaka Belimbing are situated in the middle of several rice fields and give guests the opportunity to do nothing more than relax and watch the trees blow in the wind. 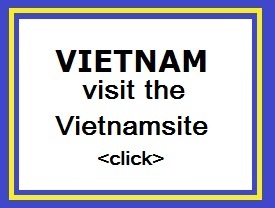 The spacious villas aren�t entirely rustic though. Each is equipped with things like televisions, refrigerators, and hot and cold showers. Modern travelers will appreciate these amenities almost as much as they appreciate the feeling of stepping back in time that this hotel offers at first glance. Cempaka Belimbing is easy to book - just enter your travel dates on our secure online booking form.